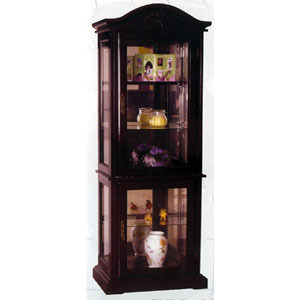 Cherry Curio Cabinet. Fully Assemble. Strong Construction. Size: 26 x 17 x 77 H. Store Pick Up Or Local Delivery Only.